Every month in our Wood News Online publication, we feature Steve Johnson, the Down to Earth Woodworker, who provides a variety of woodworking project ideas, tips, and stories from his own recent experiences in the shop. In this month’s DTEW column, Steve discusses his illegible handwriting, which started as a child and has never seemed to improve as he has grown older. 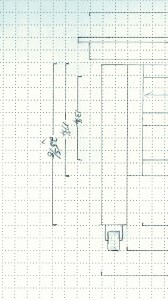 Unfortunately, this has led to illegible graph paper plans for his current SawStop Outfeed Table project, in which he has ended up with table legs that are too long. You can find out more about Steve’s SawStop Outfeed Table project, as well as read the entire Down to Earth Woodworking column for August, HERE.